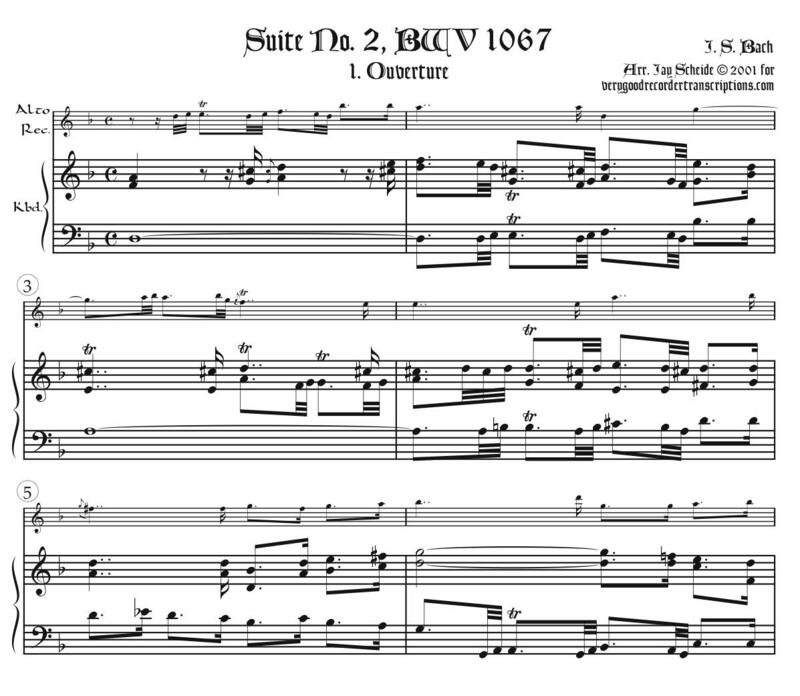 Originally for flute, strings and continuo in b minor, transposed here to d. 1. Ouverture, 2. Rondeau, 3. Sarabande, 4. Bourrées 1 & 2, 5. Polonaise & Double, 6. Menuet, 7. Badinerie. For this last movement we offer two keyboard versions, the 2nd one an easier, less complicated one to facilitate a fast tempo. In the keyboard part of the Ouverture, we offer a written-out repeat to eliminate a difficult page-turn. There are optional high A’s in the recorder part. NB: the keyboard part does not conform to our customary baroque ceiling of C6, but goes up to F6.